Dahlias, even if we limit our exploration to the cultivated varieties of the genus, incorporate about as many shapes and textures, sizes and colors as any flower you might think of. It's especially confusing in a plant with so many cultivars. Today, domestic dahlias are known simply by the genus, Dahlia (named for Anders Dahl, an 18th-century Swedish botanist who studied the plant in its native habitat). Because the name Dahl means valley, dahlias were also known for a time as "valley flowers." Dahlia bulbs, or tubers as they are correctly known, were introduced to Europe from their native soils in Mexico and Central America, and became widespread in the early 19th Century. Dahlias enjoyed a surge in popularity between 1820 and 1840, and the number of varieties increased in those years from 100 to 2,000. Long ago the particular species that lent their characteristics to the various hybrids and crosses have been blurred, although botanists know that most of today's thousands of hybrids came from the species pinnata and coccinea. 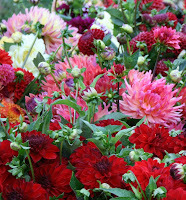 So how do you categorize something with as many types, sizes, and colors as dahlia flowers? By type, size, and color. 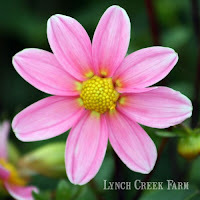 Because the lists of dahlia hybrids are grouped by these designations, it's useful to try to get a handle on them. We'll go into specifics on the various categories in subsequent blogs. Classification by size of dahlia flowers ranges from the giants, or "dinner plate" dahlias, to the miniatures, each grouping including a number of various types. Dahlia flower sizes decline from AA or giant (10 inches or 25 centimeters or larger) through A (8-10 inches, or 20-25 centimeters) and B (6-8 inches, or 15-20 centimeters) down to BB (4-6 inches, or 10-15 centimeters). Dahlias under 4 inches are classified as miniatures if they are of the types called formal or informal decorative; semi, straight or incurved cactus types, or laciniated cactus. Other smaller cactus are simply categorized by type or type and size. Dahlia flower types include the decorative, cactus and laciniated types listed above, as well as waterlily, ball and miniature ball, pompon, stellar, novelty fully double, and a host of dahlias with visible centers and single or double rows of ray florets: single, mignon single, collarette, orchid, peony, anemone and novelty open dahlias. 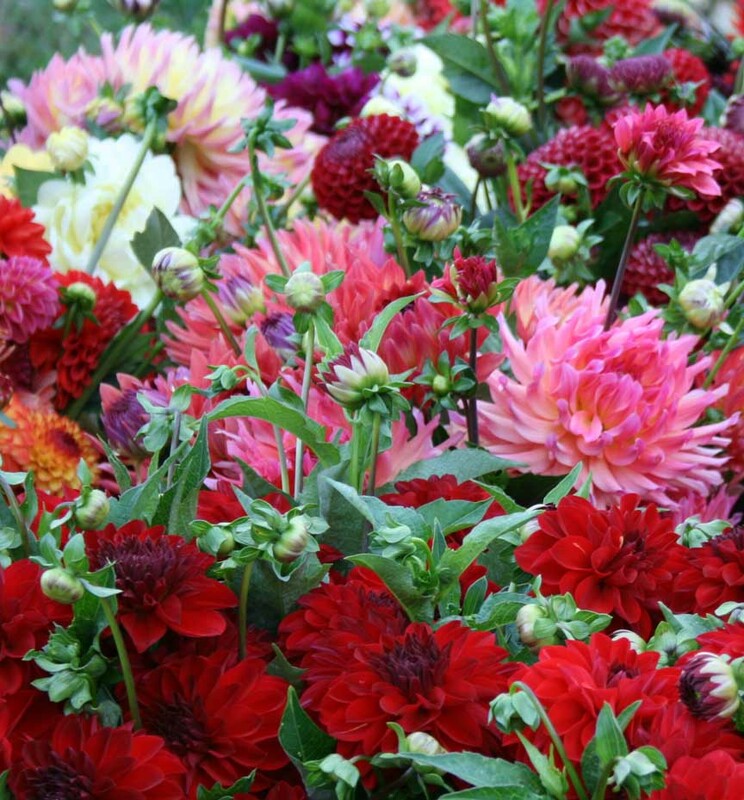 Color classification of dahlias is determined by the predominant color or colors in the case of blends. With the exception of orchid dahlias, the color designation is the color on the face of the ray florets; orchid dahlias are classified by the color on the reverse of the florets. 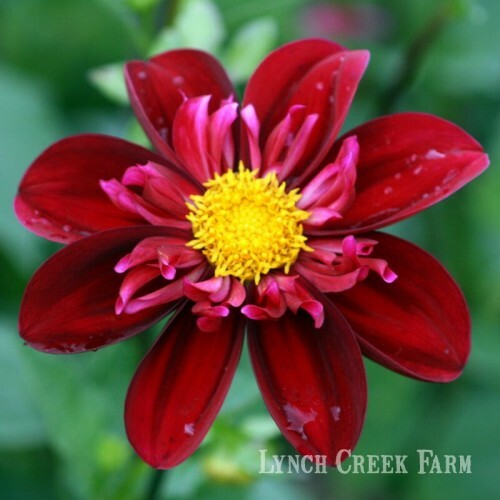 The official color guide of the American Dahlia Society is that of the Royal Horticultural Colour Chart and includes white, yellow, orange, pink, dark pink, red, dark red, lavender, purple, and bronze as well as several blends. Labels: dahlia classifications, dahlia colors, dahlia flowers, dahlia origins, dahlia sizes, dahlia tubers, dahlias. 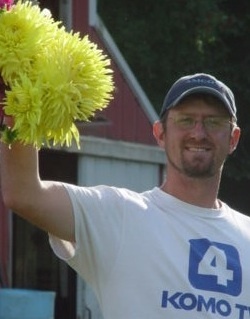 Market's Open and Lynch Creek's There!